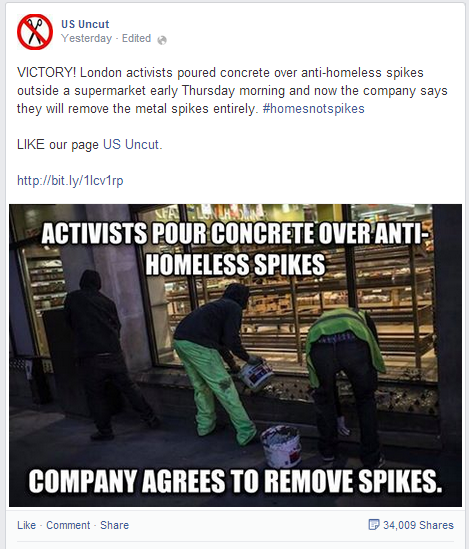 Let's all applaud these activists who are working tirelessly, even breaking the law, to keep homeless people outside and on the streets. I'm trying to imagine the vision they have for the world. Perhaps they want all new buildings to have shallow alcoves that the homeless can use, or buy public land and build a bridge to nowhere overhead that can be used as a crude shelter.